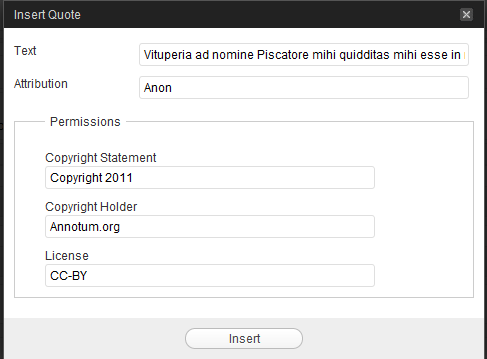 Annoutm provides custom dialog boxes for inserting figures and block quotations in your articles. To insert figures, follow these steps. 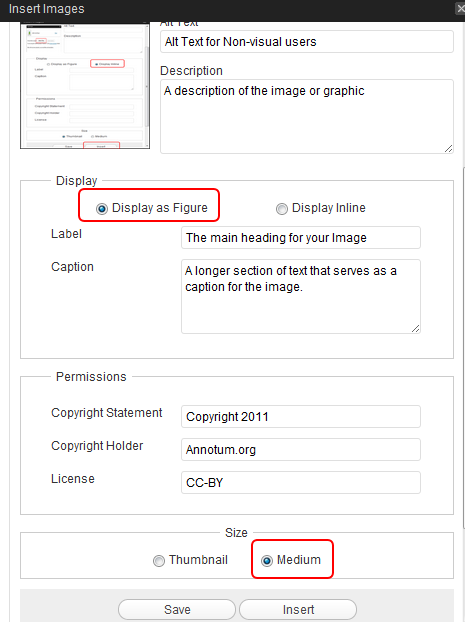 You can create two types of images, inline and Figure. 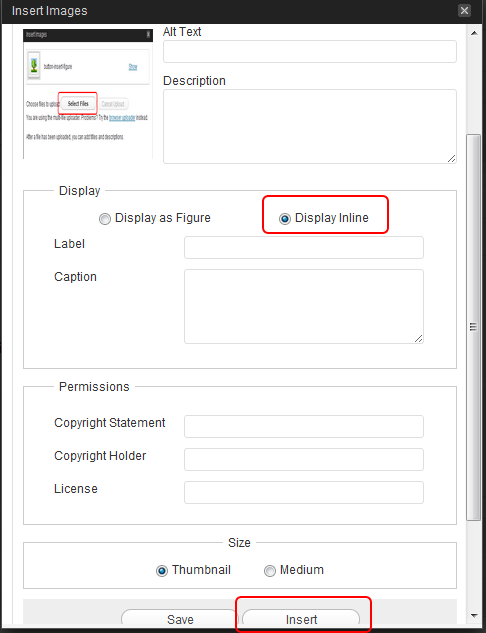 This dialog box is used for inserting images, and adding a label, caption, and copyright information. You can insert the full image or just a thumbnail. Here’s an example of a figure with title, caption, and copyright information. You can insert quotations by using this toolbar button:. This dialog box is used to insert block quotations. I only see one row of toolbar buttons, and some are missing!